Ah coffee. Where do I begin? We’ve been friends for a long time. You helped me stay up late through my teen years, you were the shoulder to lean on during the very sleep deprived years of nursing infants, you car pooled with me during my hour long commutes to work, you joined me for afternoon dates with friends and you continue to be the main stay of my every morning. It’s no secret that I love coffee 🙂 And not just for its staying awake super powers, I love the flavor, the aroma, the pure essence of coffee. And, I love that it makes such a perfect accompaniment to some of my favorites sweets. Ironically though, I very rarely have coffee cake. I’ve never been a huge fan of coffee cake. I mean, shouldn’t the cake bearing such a name at least give you the same jump start? Now don’t get me wrong, I loved the sugary streusel that topped those cakes but the cake itself was never quite rich enough for me. 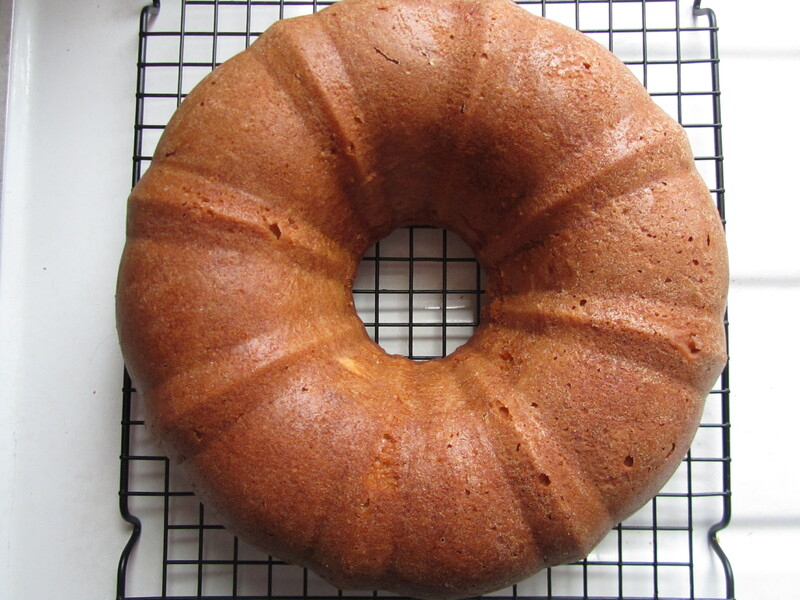 But I got to thinking about a sour cream surprise bundt cake a close friend of the family used to make while growing up and I just had to have some. However this was at 11PM last night and I didn’t have the recipe so I had to come up with a different plan. The best place to start? America’s test kitchen-it’s like the family recipe book; tried, tested and true. 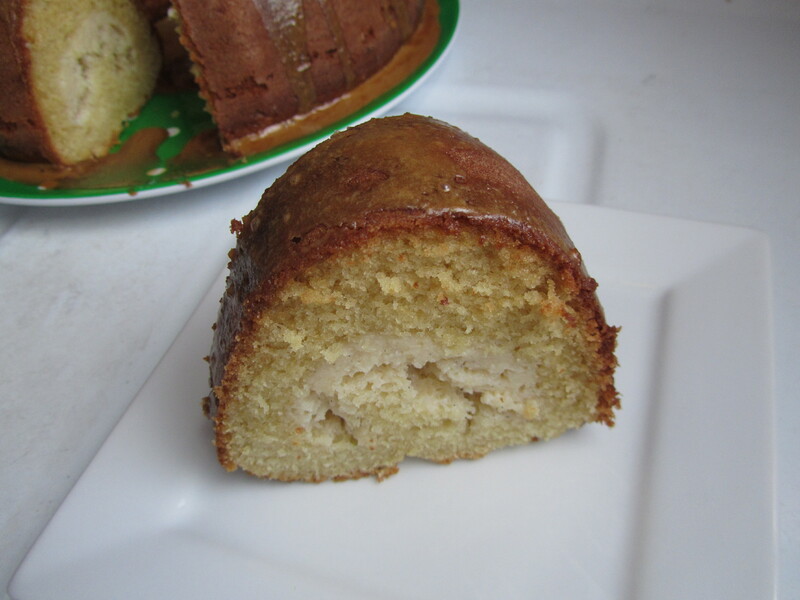 The base of this recipe is from a sour cream based, cream cheese coffee cake I found at the afore-mentioned site. I did a little tweaking though to make it less lemon-y (ie: removed all traces of lemon-I’ve eaten enough to make my lips pucker the rest of the summer), and a little more coffee-like. The result is a moist cake with a decadent creamy, vanilla bean center, topped with an espresso jolt of flavor and caffeine. until golden brown and beautiful 🙂 Ok, I only put the cooling pic in there because it looks like a big doughnut! I love it! So I wasn’t completely happy with the first glaze that I took pictures of. My husband like it but I wasn’t thrilled. I played with it a bit to create something a little more rich and thick-you’ll get the recipe-just no pictures. pour the glaze over the cake and serve! 1. Preheat oven to 350 degrees (F). 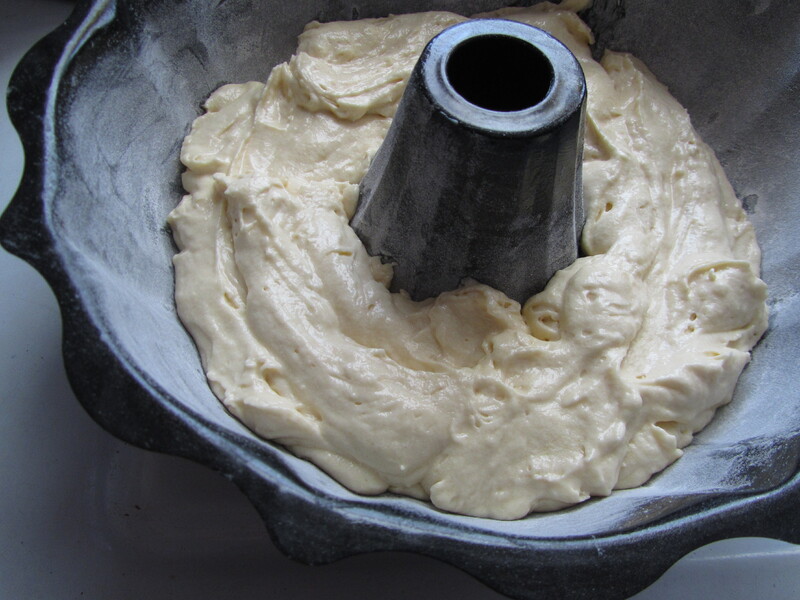 Generously butter and flour a Bundt pan. 2. 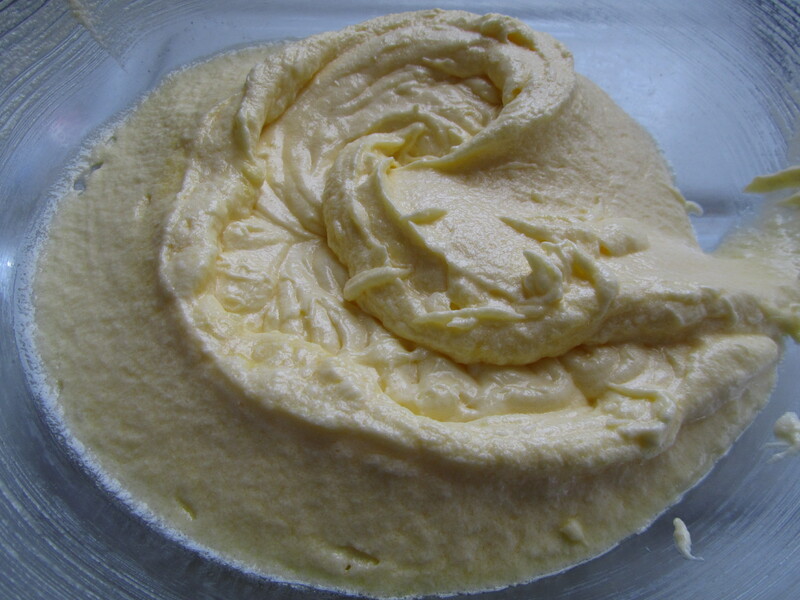 In another large mixing bowl (or standing mixer fitted with paddle attachment) cream the butter and 1 cup plus 2 tablespoons sugar at medium speed until light and fluffy, about 3 minutes, scraping down sides and bottom of bowl with rubber spatula. Add eggs 1 at a time, beating well after each addition, scraping down sides of bowl as necessary. 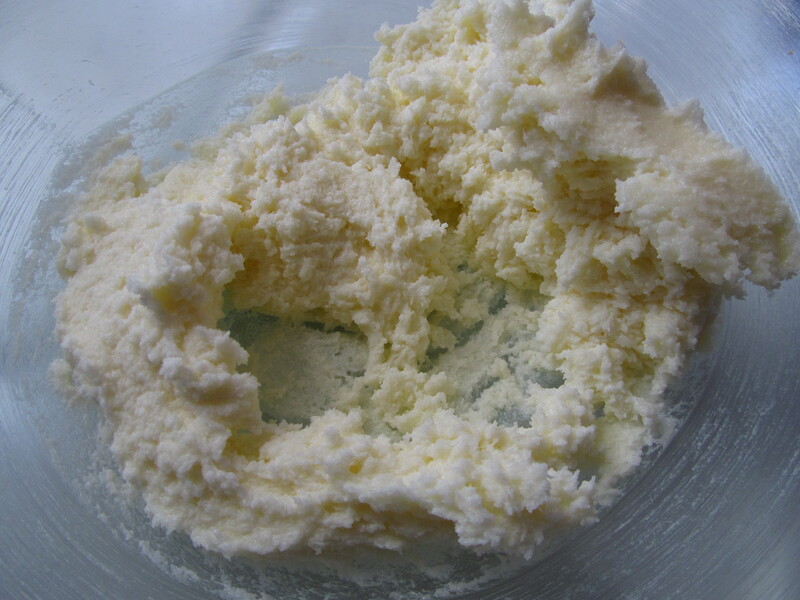 Add 4 teaspoons of vanilla and beat to combine. 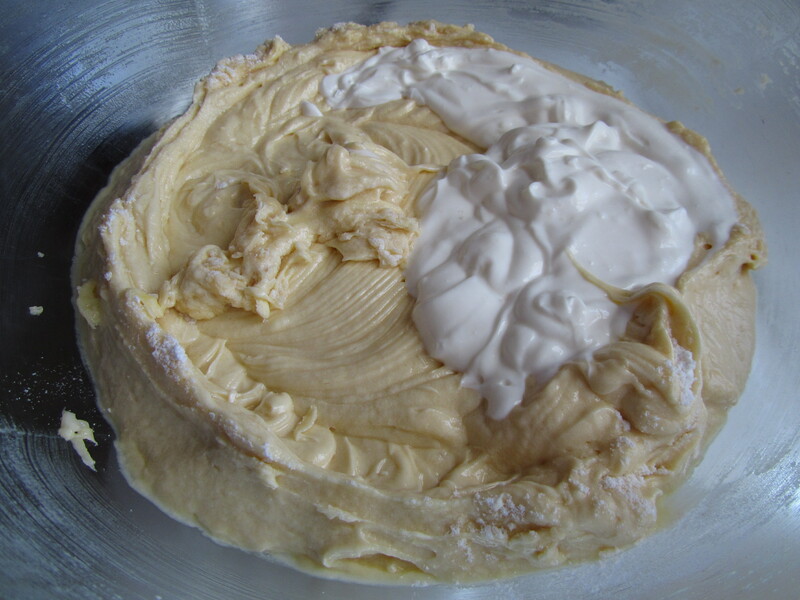 Reduce speed to low and add flour mixture in three parts, alternating with the sour cream, and beginning and ending with the flour. Don’t over beat. 3. Spoon about half of the batter into the bottom of the prepared pan evenly across the bottom. Set the rest aside. 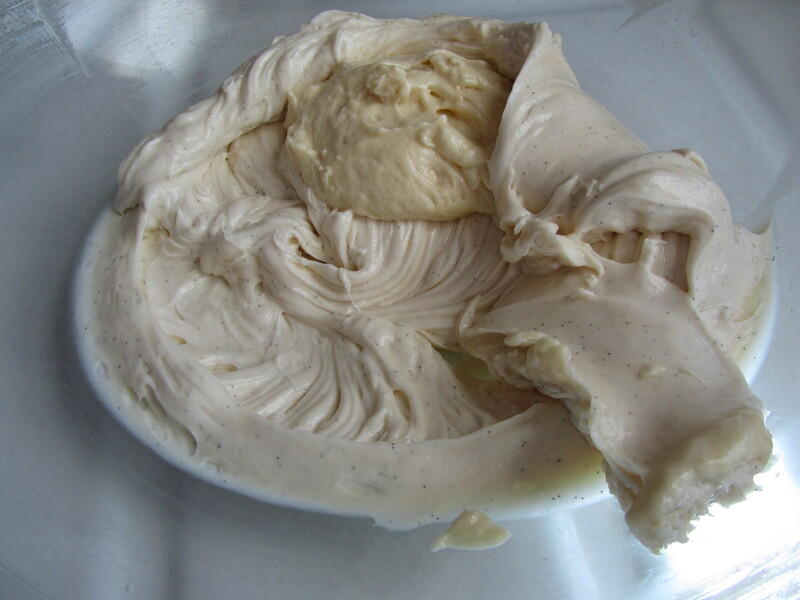 In a clean bowl, beat the cream cheese, the remaining 5 tablespoons of sugar, the remaining 1 teaspoon of vanilla and the vanilla bean paste until smooth, about 1 minute. 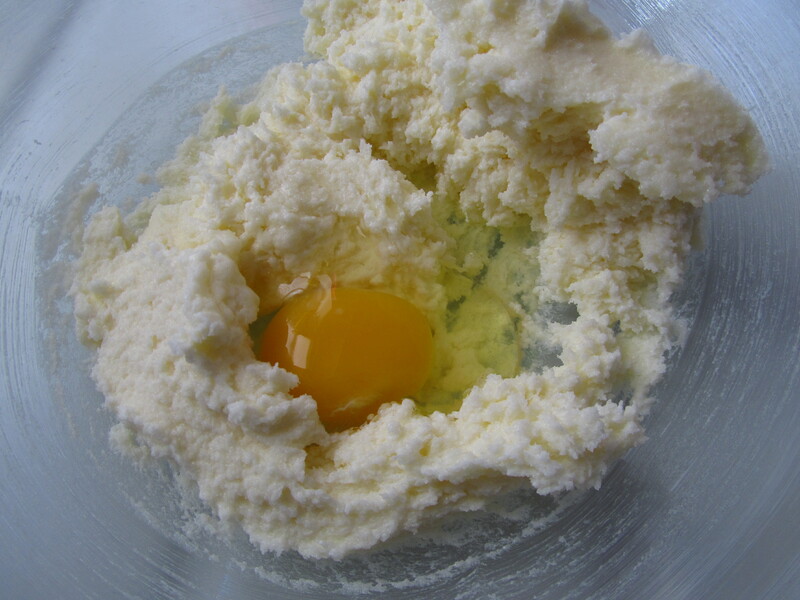 Add 1/4 cup of the reserved cake batter and beat to combine. Spoon the cheese filling mixture evenly over the batter, keeping filling about 1 inch from edges of pan; smooth top. 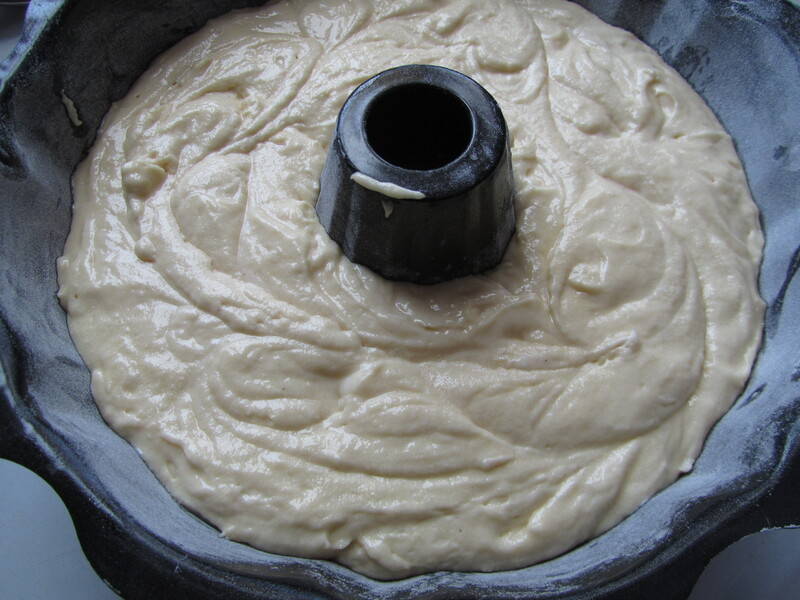 Spread remaining reserved batter over filling and smooth top. 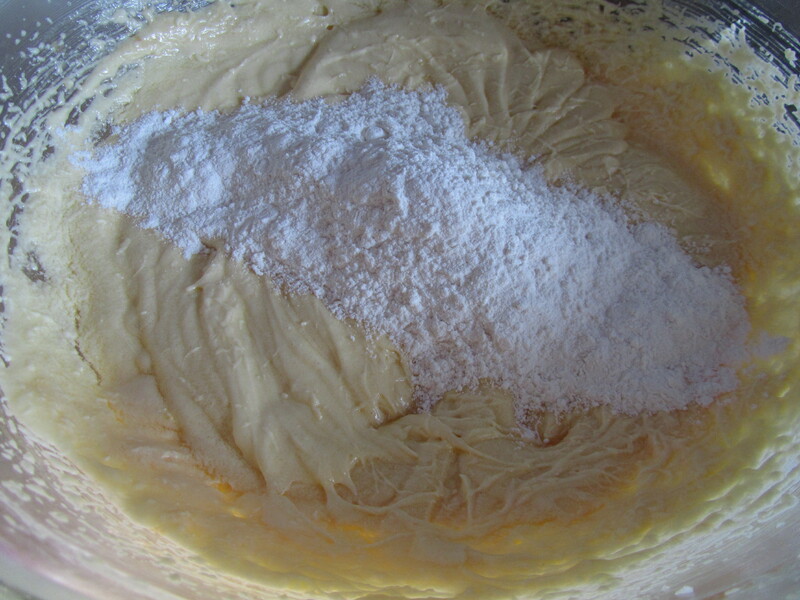 With a butter knife or offset spatula, gently swirl filling into batter using figure-8 motion, being careful to not drag filling to bottom or edges of pan. 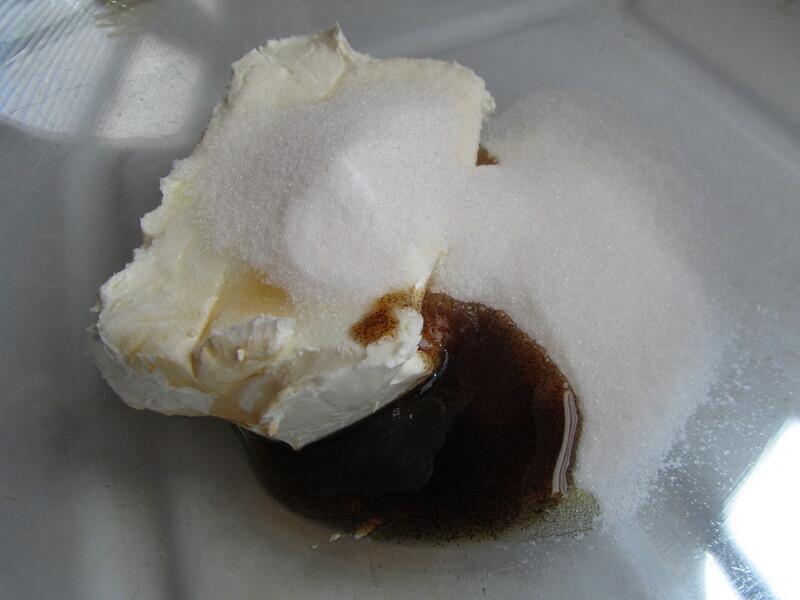 Firmly tap the pan on the counter 2 or 3 times to dislodge any bubbles. 4. Bake until top is golden and just firm, and long skewer inserted into the cake comes out clean (skewer will be wet if inserted into cheese filling), 45 to 50 minutes. 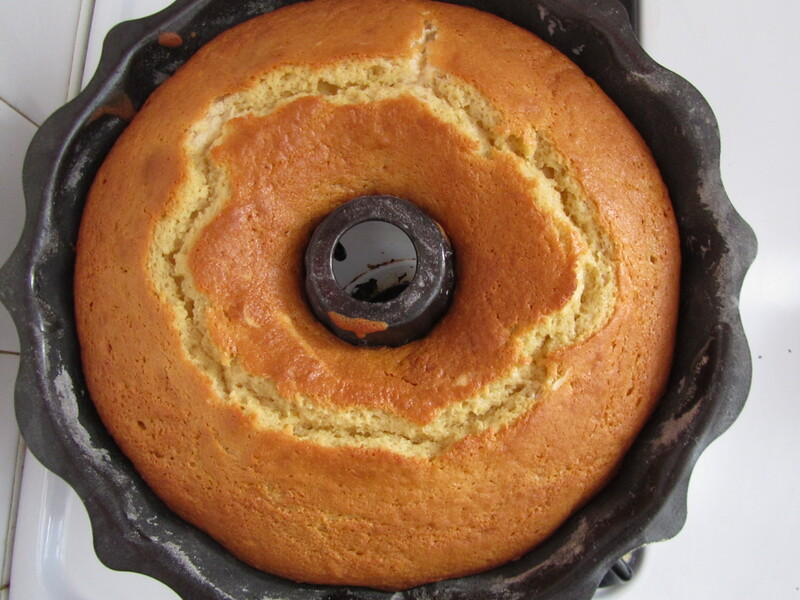 Allow cake to cool in the pan for 30 minutes before inverting onto a wire cooling rack to cool to room temperature (up to another hour). 5. While the cake is cooling, pour the 1/4 cup milk in a microwave safe bowl and heat in microwave until steaming hot (about 25 seconds). Stir in the instant espresso powder until completely dissolved and set aside to cool. When the cake and espresso milk has cooled, place the 6 tablespoons of butter with the confectioners sugar in a large bowl and beat until combined. Add 2 tablespoons of the espresso milk and beat. 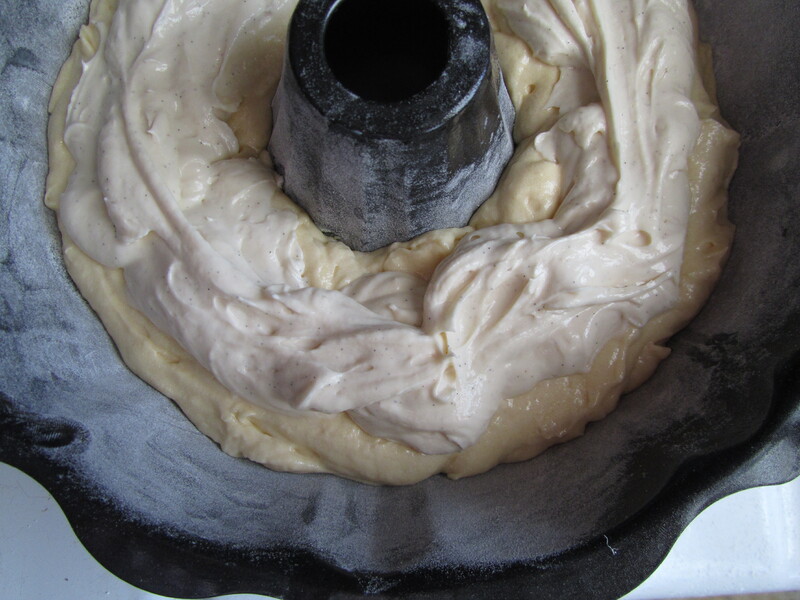 If the glaze still seems to thick, continue adding espresso milk, 1/2 tablespoon at a time, until pourable. 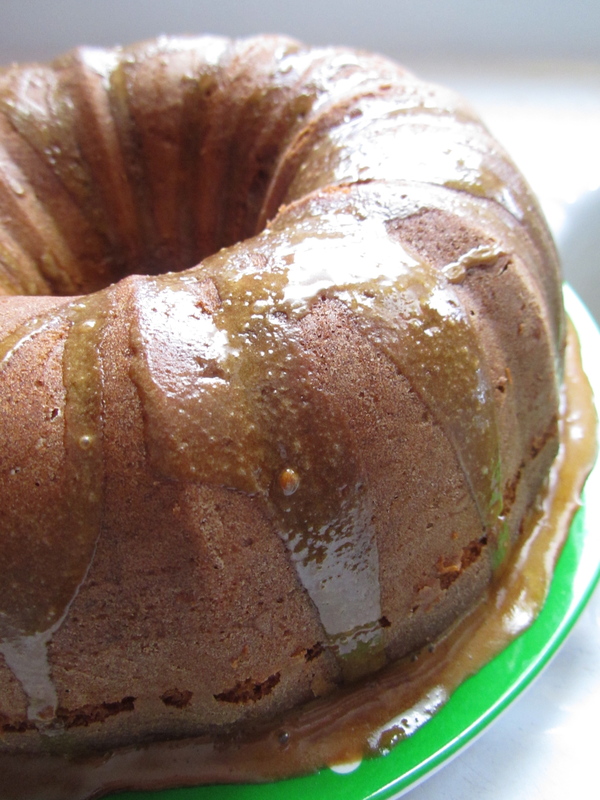 Pour glaze over the cake and serve at room temperature. 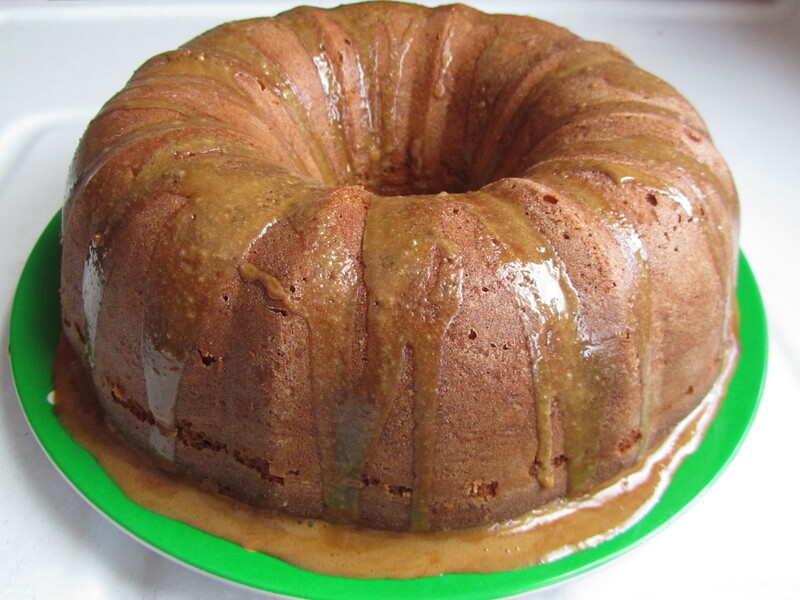 Cake can be stored, covered, in the refrigerator but should be brought to room temperature before serving. *alternate glaze (the one that’s in all the pictures here! 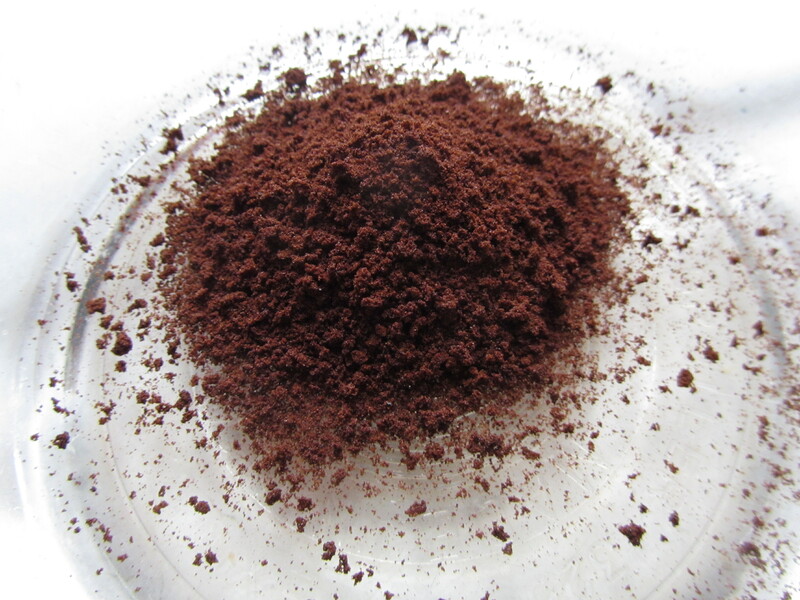 ): Stir together 1 1/2 teaspoons espresso powder and 2 tablespoons strong brewed coffee in a bowl until powder is dissolved. 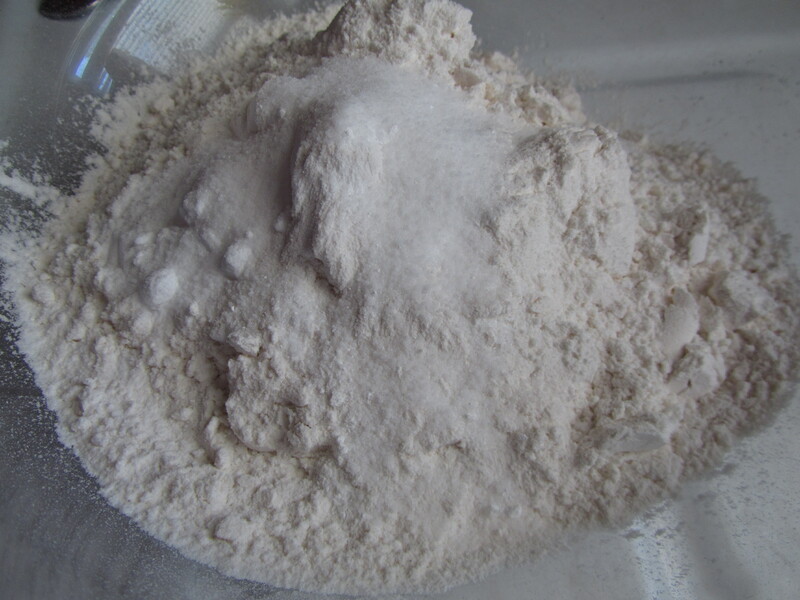 Add 3/4 cup sifted confectioners’ sugar and stir until well combined. If glaze is not pourable, thin with more coffee if necessary.